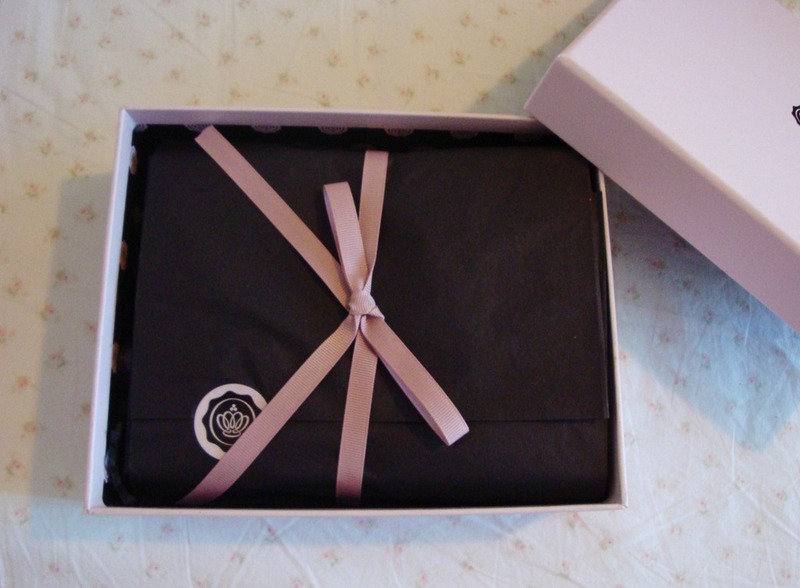 So maybe by now you’ve heard about Glossybox or one of the other beauty boxes out there. 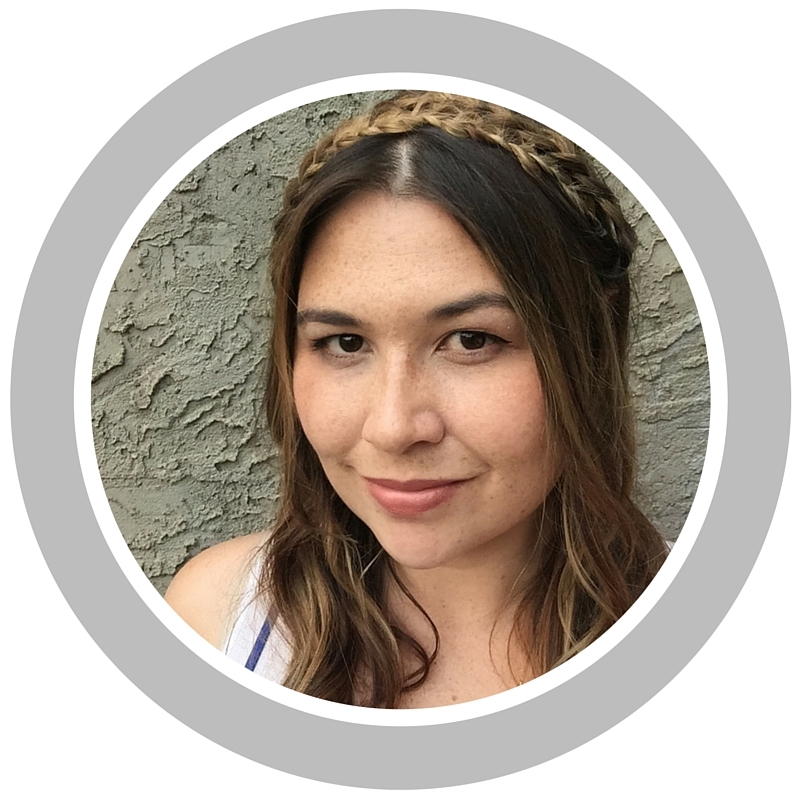 If not the basic idea is you subscribe to the service and each month for a nominal fee, this particular one is $15 a month, you receive a package in the mail containing full size and sample size cosmetics. This allows you to get a feel for brands and products you might not normally try and see new items from brands you already know and love. Ideally. I must admit I was a bit skeptical when first introduced to the concept. Would I really receive what I perceived as $15 worth? and would I even enjoy the cosmetics Glossybox sent? The answer to both questions is YES! Granted this is only my first box, as this is their Canadian debut, but based on first impressions I am very pleased. The packaging is very pretty and obviously has had a lot of thought put into it, which goes a long way in the enjoyment of this service. 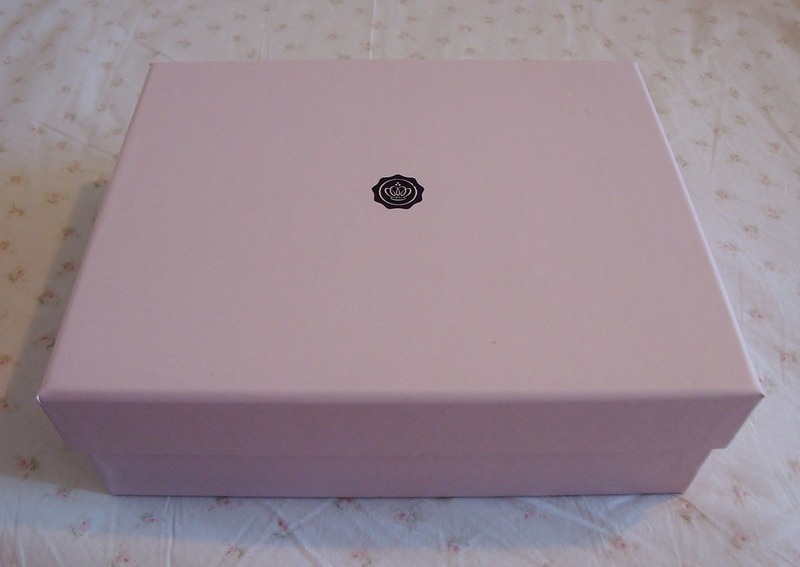 Here is the dusty rose Glossybox, straight out of the box it was mailed in. It measures approximately 8”x 6.5” with a 3” depth. Love the ribbon! but then again I am a sucker for ribbons. The envelope held a card that on one side has a short note about the February box and on the other side has a list of all the products in the box. It gives the name, a brief explanation, and what the price would be if you were to purchase a full size. Also included are 3 labels for the box which I think is a cute, thoughtful touch. So far I’ve tried both lotions, I like the scents, the nail polish, the color was perfect for a V-day manicure, and the moisturizing stick, which is my fave of the bunch. It smells like melon and it moisturizes just the way I like, not sticky and doesn’t sink in too fast. Also I feel a little more classy pulling out this stick instead of my usual Lip Smacker or Blistex. Overall I think this is a great service. It’s well put together and made me smile when I opened it. The $15 includes taxes and shipping and you can cancel your subscription at any time! I’m happy this service came to Canada and am looking forward to next months Glossybox! 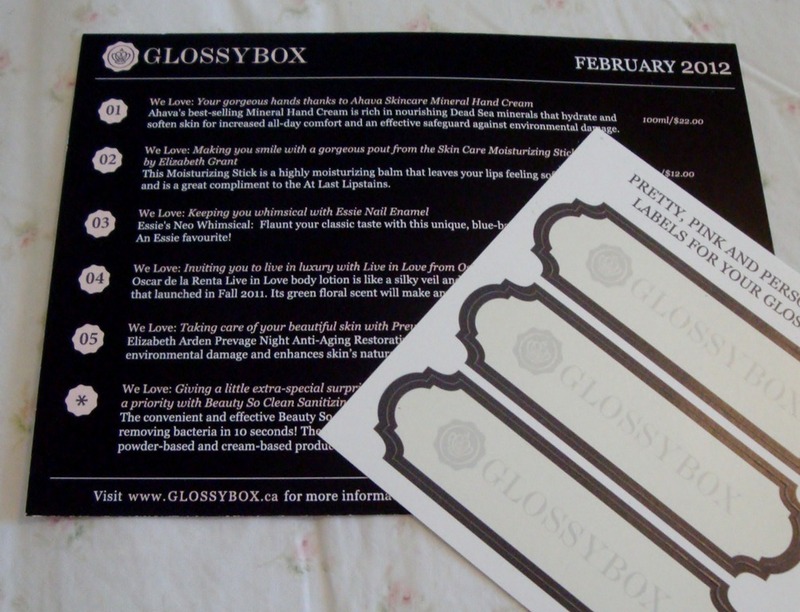 Check them out on facebook, twitter, youtube, or their website www.glossybox.ca. 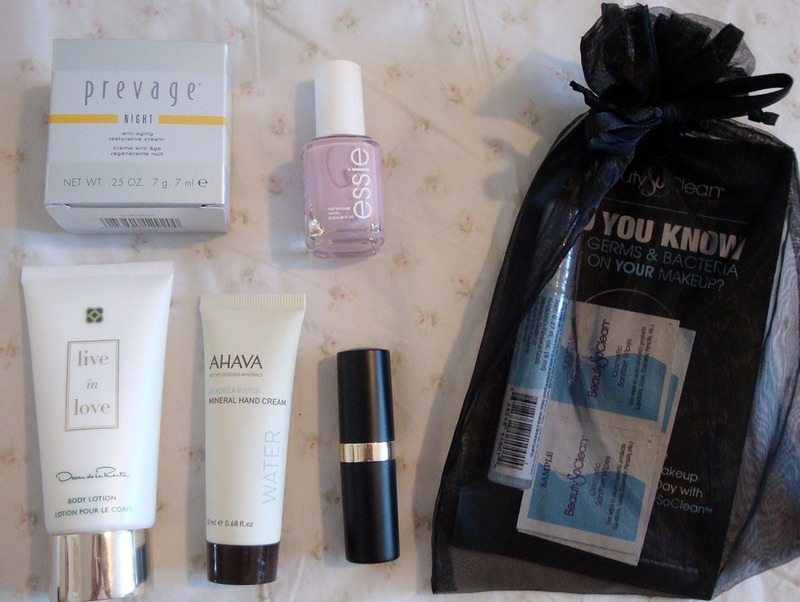 Conclusion: Everyone loves getting a package now and then, and if it has beauty items in it all the better! I just signed up for Glossybox. I also ordered Luxebox, TopBox and Glymm to compare. I won’t keep them all but I sure do like to get things in the mail!!! Have you tried others and what are your thoughts on them? I haven’t tried any others, yet. 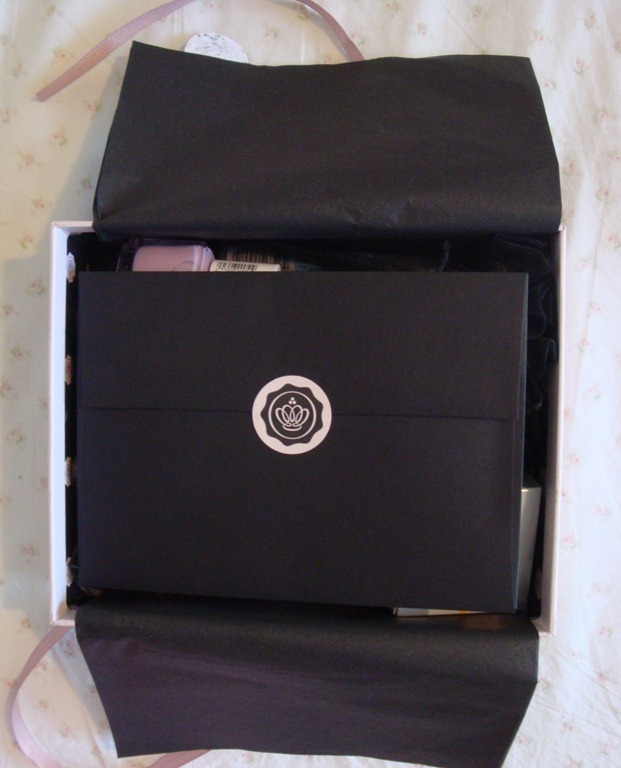 But after such a positive experience with Glossybox I might check the others out! Finally! A service that reaches Canadians. It really isn’t that far to cross the border… 😛 Sounds fun to try, and it’s always nice to get packages 🙂 Thanks for sharing!